Due to the smash success of Teenage Mutiny Ninja Turtles we are back with another 5 dollar event at the adc! This will feature the downstairs halls with 2 rooms of headlining and local djs with the huge production you've come to expect at the adc for only $5! 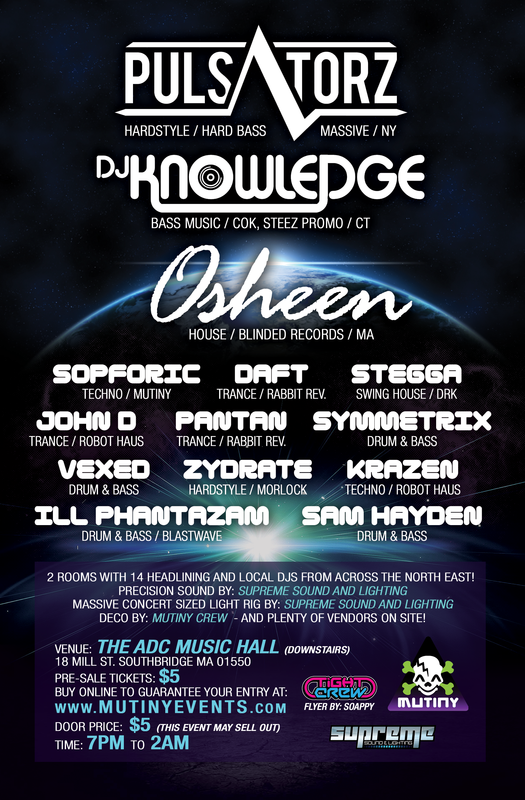 2 Rooms with 14 headlining and local djs from across the North East! Massive concert sized light rig by Supreme Sound and Lighting. Plenty of vendors on site !